I hope you are all doing well and are having an amazing week so far - yay for the weekend! 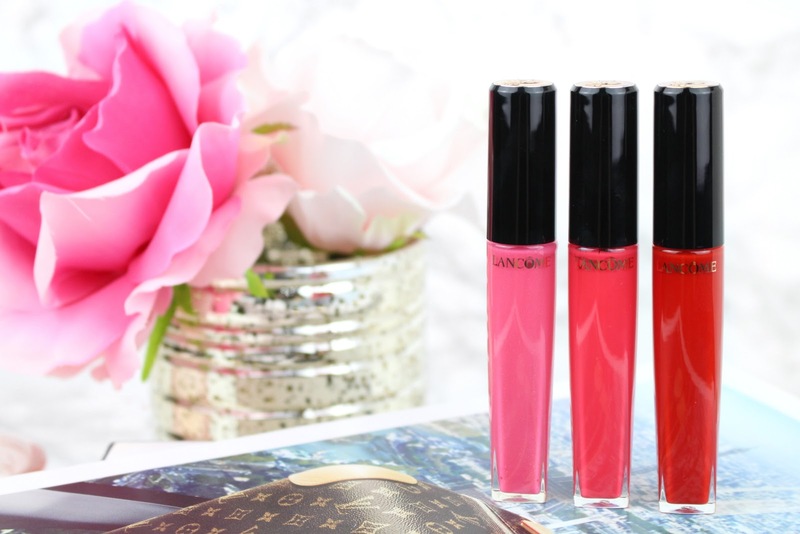 If you have been reading my blog for a while then you will know that I am such a huge lipstick, lip gloss or liquid lipstick fan and I honestly think that you can never have too many. I just love how a lip product can instantly transform any makeup look and ultimately change the way you feel. So, when Lancôme sent me a selection of their new L'Absolu Roses Lip Glosses I couldn't contain my excitement. 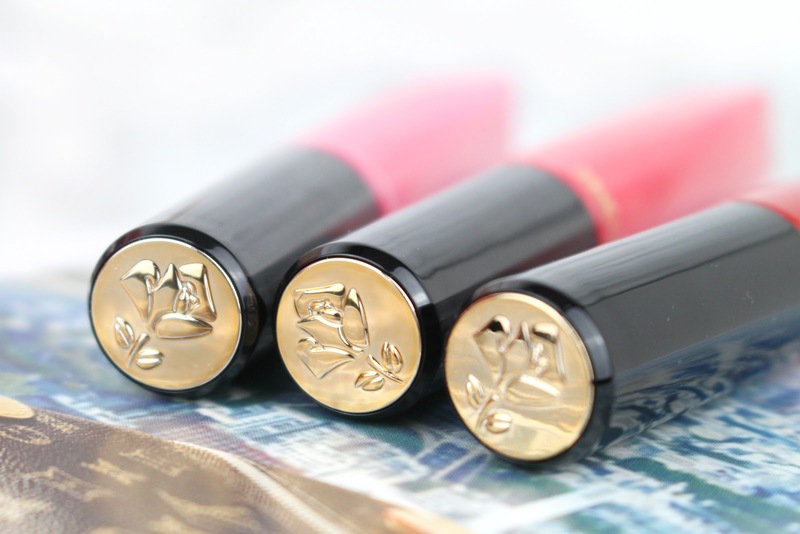 A little while ago Lancôme's iconic L'Absolu Rouge lipstick line turned 25 and with the newly appointed Lisa Eldridge on board the collection went through a reinvention. A whole new 86 shades to be exact, coming in three different variations and formula's; Sheer, Cream and Matte. A few months ago Lancôme announced it's latest additions to the L'Absolu Rouge family - L'Absolu Roses Lip Glosses. Let's take a closer look at the shades. L'Absolu Gloss Sheer in #317 Pourquoi Pas? Pink to make the boys wink! This is a gorgeous sublet pink shade which Lancôme describes to be the 'demure ingénue' of the collection. A beautiful rose with a shine, Pourquoi Pas? which means 'Why Not?' once translated captures all the freshness of pink in it's fizzy brightness. One easy stroke and your lips are pouting, scintillating and naughtily irresistible. It's one I've been reaching for a lot recently. I love layering it over a a dusty mauve lip liner. If you are looking for a shade in-between Pourquoi Pas? and Caprice then Graffiti is the one for you and a signature colour from Lancôme. It is a vibrant medium pink with subtle yellow undertones that give it the perfect kiss of coral. One swipe leaves a glossy finish to the lips that is perfect for day and night - it's an all round shade and I love it! A red for everyday, a red for big nights out - Caprice is a bright and luminous shade. The perfect true red that you would expect to see in the 1920s - a classic. Once applied it adds a satiny shine to the lips and the pigmentation is just right. I remember I used to feel so scared wearing red lip shades because I never thought they suited me but now I absolutely love them and wear them frequently. As Patrick Starrr would say... "Makeup is a one size fits all" so play around with colour and have fun! The packaging is simply stunning with it's transparent bottle and black lacquered lid stamped with a golden rose - it just screams luxury. Once opened, it's precise applicator will win you over almost instantly. It is the perfect size and shape to hug your lip line and fill in your lips with ease. You will have a dreamy application every single time. Overall, I absolutely adore the new L'Absolu Roses Lip Glosses and it's great to see that there are 14 delicious pink-infused shades in this collection which are available in the three different finishes. 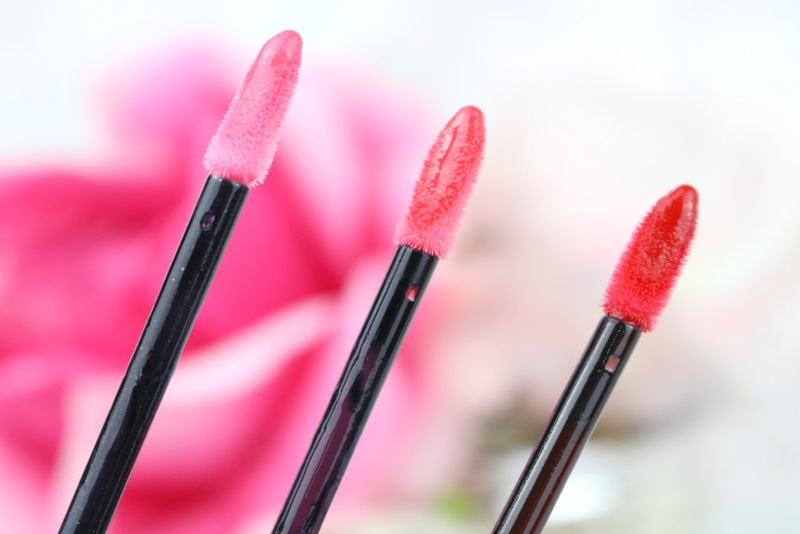 Sheer for glossy lips which are lightly coloured and sparkling. Cream to dress the lips with a veil of intense colour and a silky finish. Lastly, but certainly not least, Matte for a deep colour and velvety-feeling lips. It's great to see such a wide variety which all offer easy application, a fabulous non-sticky formula which leave the lips feeling and looking good all day. There is something for everyone in this collection. Lancôme L'Absolu Roses Lip Glosses are £21 and available in stores nationwide. What do you think of the collection? Do you have a favourite shade?